Innertown Apartments are three beautifully decorated apartments in Stromness on the Isle of Orkney. It is a short walk to the town centre shops, the harbour, marina, bus and ferry terminal, restaurants, coffee shops, pubs and The Pier Arts Centre, museum, 18 hole golf course, local swimming pool, sauna and fitness suite. Three luxury, modern, purpose-built Stromness apartments are stylish, spacious and beautifully finished. 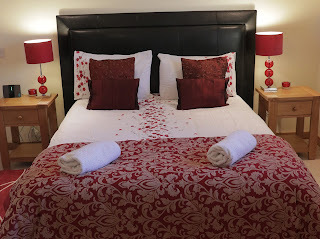 Our apartments can accommodate up to 10 guests, in three separate houses, so whether you are a couple, friends or family group, we look forward to welcoming you. 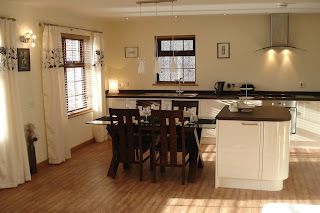 Bright and airy, with views down Scapa Flow. Sandstone can sleep up to 2 people and is perfect for couples. The cosy bedroom has a double bed and the open plan spacious kitchen/living room provides a relaxing place to rest at any time of day. 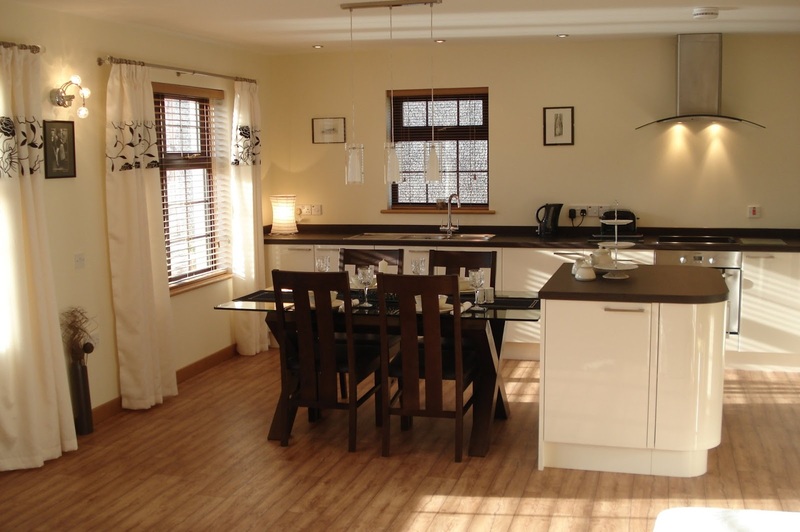 The kitchen is a fully fitted high gloss cream design with modern appliances and Denby crockery. The living room is modern and luxurious furnished with a cream sofa, oak dining table and leather chairs. A bright south facing apartment, suitable for two couples or a family of four. The apartment features one double and one twin bedroom both with fitted wardrobes, open plan chic high-gloss cream kitchen, dining/living room and modern appliances. A large walk-in shower with tiled floor, sharp white and chrome sanitary wear and heated towel rail. A leather corner sofa in the living room with oak and glass furnishings and under-floor central heating throughout. Orkney has fantastic walks and cycle route, many of which start from right outside the front door of the apartments. The island has stunning scenery, astounding archaeology and pretty towns and villages that are just waiting to be explored and enjoyed.